Turkey has revised its regulation to transfers the convicts with ‘lighter’ jail sentences to open prisons in order to make room for post-coup detainees. According to the new regulation, published in the Official Gazette on. 23, prisoners sentenced up to 10 years in jail would be reassigned from closed prisons to more comfortable open prisons. Theft, intentional injury, forgery, damage to property are in the list of crimes that would see mercy as part of the change in the regulation. Prisoners convicted of such crimes will be transferred to open prisons after they show at least one month of good behaviour in closed prisons. The change does not apply to major crimes such as terrorism, organised crime or child abuse, according to the Prime Minister Binali Yıldırım. Prisoners held in open prison benefit from certain rights that do not exist in closed prisons such as spending time with family outside of the prison and phone talks without monitoring of police or prison administration. Turkey survived a military coup attempt on July 15 that killed over 240 people and wounded more than a thousand others. The ruling Justice and Development Party (AK Party) government along with President Recep Tayyip Erdoğan pinned the blame on the Gülen movement for the coup attempt. 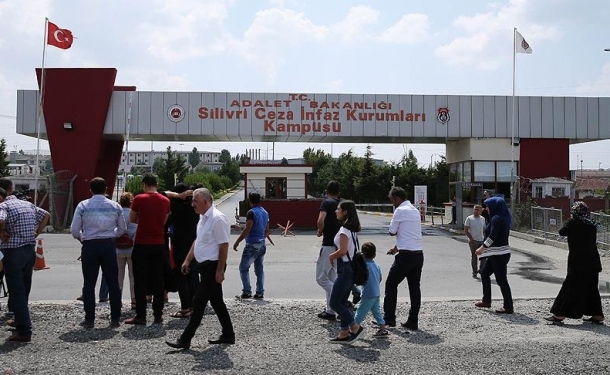 Since July 15, Turkey has detained over 92,500 people and jailed in excess of 46,000, primarily over links to the Gülen movement and on charges of terrorism and coup plotting. In August, Turkey decided to release 38,000 convicts in order to make space for its witch hunt after the coup attempt. Justice Minister Bekir Bozdağ said in late December, last year that Turkey will build 175 new prisons in 2017.